In every hospital emergency department there is a room reserved for trauma. It is a place where life and death are separated by the thinnest of margins. A place where some families celebrate the most improbable of victories while others face the most devastating of losses. A place where what matters the most in this life is revealed. Trauma Room Two is just such a place. 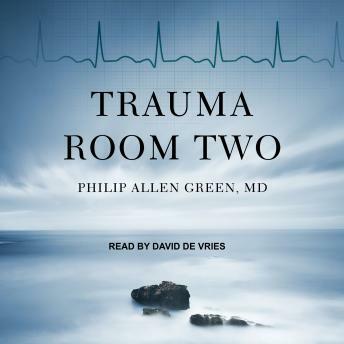 In this collection of short stories, Dr. Green takes the listener inside the hidden emotional landscape of emergency medicine. Based on fifteen years of experience as an ER physician, he reveals the profound moments that often occur in emergency rooms for patients, their families, and the staff that work there.